Now that Barack Obama is several weeks into being the 44th President of the United States, expectations are running high in Latin America, where two terms of George Bush’s widely noted indifference to regional affairs have strained hemispheric relations. Obama now must address a hemisphere that has developed a substantially different profile than existed eight years before when Bush first assumed office. A highly regarded would-be superpower, an impressive collection of left-leaning governments, a concerted attempt at regional integration, and the formation of an entire array of new institutions have emerged in Latin America since Washington’s near abandonment of the region in favor of the Middle East and elsewhere in the world. Moreover, an intensifying security threat associated with drug trafficking and the demands of other, more clamorous issues have muscled their way to the forefront of the area’s concerns. If he is to revive any significant U.S. silhouette in the Latin American region, Obama must live up to his oft-repeated but as yet untested campaign rhetoric calling for ‘change.’ Each of the agenda items which his presidency is facing in the region can be addressed with reasonable ease if the Obama administration’s supposed pragmatism prevails over the status quo policies which were a feature of both Clinton’s and Bush’s approach to the region. What is needed is a sense of respect for all of the hemisphere’s players rather than ideological Sturm und Drang or the assumption that augmented trade will provide a universal elixir. An increasingly high-intensity war is being fought in Mexico between all-powerful drug trade organizations (DTO) and the country’s security forces. President Felipe Calderón deployed Mexico’s army soon after the onset of his presidency in early 2007. His mission was to dismantle the DTOs’ heavily armed networks as well as to attempt to moderate the unprecedented violence that had been growing in the country throughout 2006. Two years since the anti-drug trafficking offensive began, over 8,000 casualties have been violently claimed in cartel hot spots across Mexico. The two bloodiest battlefields have been right along the U.S. border in and around Ciudad Juarez and Tijuana, where DTOs are fiercely fighting over control of drug smuggling routes. Additionally, over 1,000 kidnappings were reported in 2008, exceeding the numbers encountered in Colombia or Iraq. Early in 2009 the violent trend set in motion during the two previous years has shown no sign of slackening. Officials on both sides of the border only now have begun to give this issue the attention it deserves. Leaders from across the hemisphere have met on a number of occasions to initiate intelligence-sharing programs as well as attempt to jump start cooperative training, tracking and extradition procedures. Recently, President Calderón met with Guatemalan President Colom, Panamanian President Torrijos and Colombian President Uribe in Panama where the leaders underlined the indisputable importance of a coordinated response. Colombia remains the world’s leading cocaine producer despite the U.S.-backed multi-billion dollar anti-narcotics campaign, Plan Colombia. Meanwhile, Guatemala and Panama serve as major hubs in the smuggling chain that leads to the U.S. In the U.S., officials from relevant branches of the government have begun to point out the destabilizing effects that a lawless Mexico could have on the southern U.S., let alone the rest of Latin America. 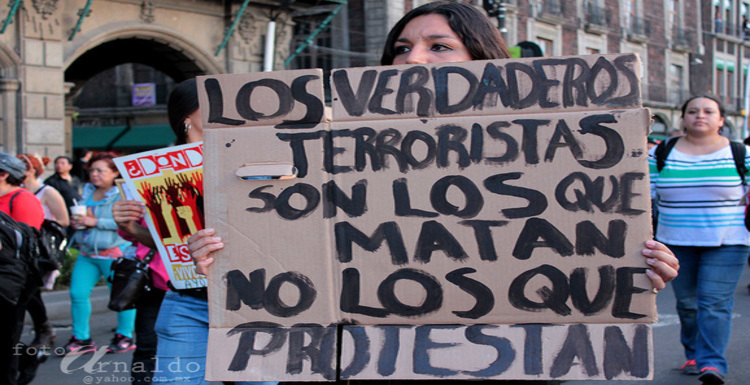 Last year, Guatemala suffered at least four grotesque massacres that occurred due to Mexico’s growing DTO influence in the country. Incidents in Honduras and El Salvador tell similar tales. An Afghanistanization of Mexico and Central America becomes a strong possibility, if not a near certainty, claims a report written by ex-Drug Czar General McCaffrey, referring to the specific areas within Mexican territory being wrested from the government’s de facto control by powerful drug lords who would then not hesitate to set up their own shadow authority. Ciudad Juarez and Tijuana immediately come to mind as likely locales when contemplating this scenario’s plausibility. Local police officers and military personnel have only loose control over certain quadrants in the major Mexican cities where they are. The potential for failed cities in such close proximity to the U.S. border could certainly produce a dangerous spillover effect similar to what is happening in the border towns that link Guatemala and Mexico, where a legal boundary exists only in name. In an event that may have been more ceremonial that substantive, Mexico’s Calderón was the first foreign leader to meet with President Obama. The Mexican leader’s main mission in Washington, besides pushing for immigration reform, was the deadly threat of narcotrafficking and the perils posed to both countries. A harried Calderón strongly made the case for added U.S. cooperation in the anti-drug struggle, when he urged that “the more secure Mexico finds itself, the more secure [the] U.S. will be.” Obama certainly seems to understand the importance this threat represents for U.S.-Mexican security concerns. If this is so, it should be one of the Obama’s administration’s greatest priorities to address the responsibility of his country’s stake in the violence that Mexico is currently facing largely alone. Assisting the Mexican government with military aid and intelligence will have little effect if the DTOs continue to arm themselves with US-secured weaponry from cross-border sources. Obama and Calderon both understand the need to collaborate on this issue, which carries dire consequences, but a traditional approach, which is the one likely to take place here, will not do the job. Just like Plan Colombia is having only a very limited impact on the drug trade that originates from Colombia, the recently started Merida Initiative is on track to suffer a similar fate. The importance of acknowledging the price that the war on drugs has cost the region, which has been fueled by high levels of US consumption and eager DTOs doing the supplying, must be of more than cosmetic note to the Obama administration. Trade between the United States and Latin America has grown inexorably over the past decade, with Washington remaining the largest trading partner for many of the countries there, according to latest World Trade Organisation statistics. Even Venezuela – despite Hugo Chávez’s ‘anti-imperial’ rhetoric – relies heavily on U.S. commercial ties, with almost half of the country’s exports in 2007 heading for U.S. shores. The U.S., however, has lost considerable momentum in the area during the eight years of the Bush presidency, with Latin American countries moving increasingly towards a system of trade regionalisation which steadily limits Washington’s presence. A host of bodies like Mercosur and such collective entities as UNASUR, ALBA, and Petrocaribe have emerged promoting strong regional trade links, and largely have focused on South and Central American Basin locations. The prominence of these organisations has represented an implicit rejection of the Bush administration’s attempt to press the Free Trade Area of the Americas (FTAA) in the region. This continental free trade zone became a major project designed to realize Washington’s vision for hemispheric trade, but Bush’s position was so inflexible that it forced the rest of Latin America into forging ahead with a system of its own choosing, relegating the U.S. a peripheral presence. Whereas Bush resorted to negotiating bilateral free trade agreements with countries aligned with U.S. interests, Obama would be well advised to remove the blinkers of a specific model of free trade and attempt to engage with Latin America on terms more acceptable to the region as a whole. The newly emerging regional organisations have variously emphasised degrees of political integration and social considerations, like funding poor countries’ development programmes in order to temper the unadulterated free trade which both the Bush and Clinton White Houses envisaged. There is certainly a good deal of reason for Obama to address the issue of the growing isolation of the U.S. from the hemisphere’s main regional bodies. Those that exist form a patchwork meant to deal with specific issues concerned with distinct development models. No single model yet holds a monopoly on the region’s attention. However, any Latin American country keen to assert itself on the world stage as a political entity is now unlikely to submit to trade terms exclusively dictated by the United States. Obama must come to realise this in a way which Bush never did. Given the current positive standing of Brazil in Latin America, good relations between Washington and Brasilia are vital for the existence of solid U.S. links with the region as a whole. What was once exclusively the U.S.’ backyard is now one which Obama must learn to share with Lula, and later, others. Indeed, Obama may be well advised to invite Brazil to play a more important role on the world stage by supporting its long-held ambition to become a permanent member of the United Nations Security Council and other symbols of tenure in the winner’s circle. One of the most important indicators of future U.S.-Latin American relations will be what President Obama will do regarding the Cuban embargo and other sanctions considered by Latin American leaders as being onerous and unacceptable. Most South American leaders have come forth with positive remarks about Castro and Cuba, and have strongly expressed their condemnation of U.S.-Cuban policy, which if anything became even more rigid under former President Bush. Sympathy for Cuba’s plight has grown arithmetically in recent years as left-leaning democracies have emerged throughout the region to which Havana is more a hero than a knave. Obama’s discussion on U.S.-Cuban relations has laid out a welcomed course of possibly reversing President Bush’s restrictions on Cuban-American travel to the island as well as removing caps on financial remittances by family members being sent back to the island. 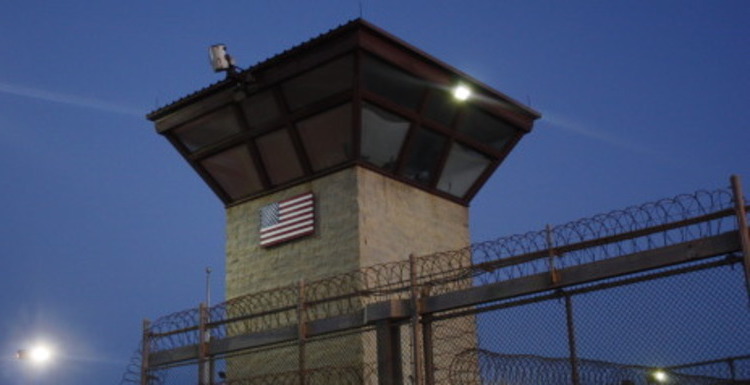 A significant step was taken when President Obama ordered the closure of the Guantánamo Bay detention facility within a 16-month window due to its notoriety as a known torture center during the ongoing War on Terror. The prospect of shutting down Guantánamo was well received around the world, but most notably by Fidel Castro who cautiously praised Obama. “I expressed that personally I had not the least doubt of the honesty with which Obama, the 11th president since January 1 1959, expressed his ideas, but in spite of his noble intentions there remained many questions to answer,” said Castro in his Reflections column. Here we have an interesting duality being posed. It may well be that U.S. relations with Cuba may affect a thaw far more quickly than with Venezuela, because Raúl Castro will be looked upon as an inherently less radical victor than is Chávez. Washington, however, may be mindful of the fact that Fidel Castro administered several generations of the left throughout Latin America – most notably Chile’s Salvador Allende, Grenada’s Maurice Bishop and Venezuela’s Hugo Chávez. Unfortunately, even though significant progress may be in the making regarding U.S.-Cuban relations, Obama has resorted to Cold War-era rhetoric by using the 50 year-old embargo as leverage to promote democratic change. President Lula of Brazil advised Obama to abolish the inflexible blockade as it lacks “any scientific or political explanation.” If Obama were to cease the outdated strategic stalemate with Cuba that has locked U.S. bilateral policy toward the island in an obsolete time capsule, it would help herald a new dawn for U.S.-Latin American relations as well as improving badly frayed hemispheric ties. For well over a century, the Monroe doctrine dictated U.S. policy towards the rest of the Americas. Since 1823, until recently, Washington basically designated the hemisphere as exclusively an American sphere of influence, and forbade the application of any outside forces to its perceived extended territory. However, the past eight years have seen U.S. influence in Latin America badly erode and progressively usurped by powers from outside the hemisphere. Russia and China in particular have been active in the region, as well as Iran and the European Union, among others, as the continent has diversified its trade links. Hugo Chávez has acted as a ‘lightning rod’ for many of these changes and for attracting the business and political interests of some of these countries to the continent, but their influence is more widespread and variegated than this connection would suggest. According to Reuters, “Russia and Venezuela have signed 12 arms contracts worth $4.4 billion over the past two years,” and the two countries’ navies recently engaged in joint maneuvers. Russian President Dimitri Medvedev, has visited not just Chávez, but also the Castro brothers in Cuba, and Lula in Brazil, and has received Nicaragua’s Daniel Ortega and Argentina’s Cristina Fernandez de Kirchner in Moscow. On December 23rd 2008, France and Brazil signed a deal worth, according to the New York Times, $12 billion for helicopters and submarines, and China’s trade with the region has risen tenfold during the Bush presidency, according to the Guardian. Moreover, Iran has struck trade deals with Venezuela and presidents Chávez and Ahmadinejad have worked together to revitalize OPEC. The new Obama administration has issued mixed reactions to this presence of foreign powers in the U.S.’ traditional sphere of influence. Speaking on January 27, U.S. Defence Secretary Robert Gates, one of the few members of the Bush administration to retain his post under President Obama, said: “I’m more concerned about Iranian meddling in the region than I am the Russians.” Gates expressed concern at the “frankly subversive activity that the Iranians are carrying on in a number of places in Latin America,” but made it clear he doesn’t see Russian involvement, not even their recent naval maneuvers with Venezuela, as a threat, a view that Assistant Secretary of State for the Western Hemisphere Tom Shannon has previously voiced. Obama must not place unquestioning faith in Gates’ recent comments about Iranian influence in Latin America, which have demonstrated that his roots lie firmly in the Bush administration. The White House under Obama already has begun drafting a letter, in a conciliatory gesture, to the regime of Mahmoud Ahmadinejad, and Gates’ view on Iran’s links with Chávez in particular seems not to tally with Obama’s readiness for a de-marche. Instead of firing hostile rhetorical shots, Obama would be prudent to continue on his diplomatic path and remember that Iran’s capabilities and development abilities in the Western hemisphere are limited (particularly now due to their straitened economy); certainly in military terms. Today Tehran poses a far lesser threat to the U.S. than Moscow. In addition to attracting outside influences, it has been Chávez who has been instrumental in spreading a wave of ‘21st Century Socialism’ across the region, influencing countries like Bolivia, Ecuador, Nicaragua and Honduras. Outside Chávez’s direct sphere of influence lie other centre-left governments, encompassing Brazil, Argentina, Chile and Guatemala. Thus, the dwindling pool of countries which remain truly sympathetic to traditional U.S. goals in the region is limited to no more than Colombia, Peru, El Salvador and sometimes Mexico. In this respect, Obama inherits a region very much different to what his predecessors had to face. Many of these countries have experienced frosty relations with the U.S. during Bush’s eight years in power. 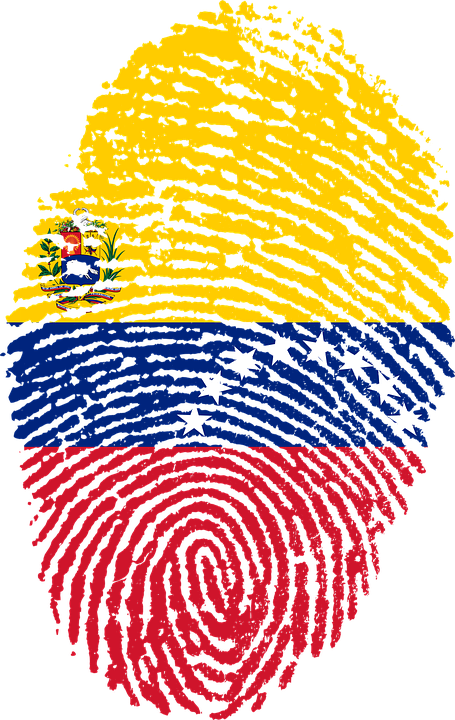 Both Venezuela and Bolivia expelled their U.S. ambassadors in September 2008, and Chávez was famously the subject of a coup in 2002 to which the CIA was allegedly linked. Evo Morales demanded the removal of the U.S. Drug Enforcement Agency (DEA) office from Bolivia in November 2008, and Ecuadoran President Rafael Correa elected in October 2007 not to renew the U.S.’ lease on the Manta airbase in the country, forcing U.S. military personnel to leave the area when it expires this year. The Obama administration’s approach again has been mixed in regard to these countries. State Department spokesman Robert Wood said after the January 25 constitutional referendum in Bolivia: “I don´t think the results are final at this point, but we look forward to working with the Bolivian government in ways we can to further democracy and, you know, prosperity in the hemisphere,” a comment which drew a warm response from Evo Morales. “If that’s the message I feel it’s a message that is going to be respectful of the decisions of the Bolivian government, because before, with the government of Bush, we had many problems,” he told Mercopress, and Bolivia’s foreign minister David Choquehuanca has subsequently hinted that the countries’ respective ambassadors could soon be reestablished. Since Obama’s inauguration, Washington’s approach towards Venezuela has become even less clear. James Steinberg, the new U.S. Deputy Secretary of State said on January 23: “Our friends and partners in Latin America are looking to the United States to provide strong and sustained leadership in the region, as a counterweight to governments like those currently in power in Venezuela and Bolivia which pursue policies which do not serve the interests of their people or the region.” However, on the same day, Chávez appeared to soften his approach, saying of the new president: “He is a man with good intentions; he has immediately eliminated Guantanamo prison, and that should be applauded … I am very happy and the world is happy that this young president has arrived … [we] welcome the new government and we are filled with hope.” What is alarming when looking upon the whole exchange are the combative words of James Steinberg, who, as Deputy Secretary of State could play a substantial role in formulating a new Latin America policy, despite his professional history not revealing an indication of a weighty background in U.S.-Latin American relations. As of now, both President Obama and President Chávez appear to be carelessly lobbing condemnations at each other that may come back to bedevil prospects for them to engage in useful talks. Obama may be too hastily dispensing brimstone on Venezuela, a subject in which he is poorly versed, knowing well that Chávez’s sclerotic nature might win him a thunderous response at home while simultaneously alienating him from Washington. Equally, Chávez is now using a campaign rhetoric that has the dangerous potential of becoming a fixed public position. OAS secretary general José Miguel Insulza has expressed the conviction that Caracas should take the vagueness of Obama’s statements with a grain of salt; advice that both sides of this diplomatic spat might want to heed. There is no need or desire for Obama to reassert U.S. hegemony in Latin America – indeed, the U.S., given the new display of regional standing on the part of Brazil as much as the significant presence of Chávez, almost certainly lacks the ability to do so. Obama must come to recognise that the newly established presence of such non-traditional Latin American players as Iran, China and Russia has come about primarily as a reaction to the U.S.’ post-9/11 neglect of the hemisphere. If he is to halt the growing shadow cast by these countries, and act to secure the fuel and other vital resources and commodities which Washington traditionally has found in Latin America, he must begin to engage constructively with the region at a brisk gait rather than weighing in with Bush-style caudillismo. Having appointed the tough-minded Hillary Clinton as his Secretary of State and Ron Kirk as his Trade Representative, Obama has two potentially strong free traders in important cabinet positions. Although this is not the position Clinton took during the campaign, she nevertheless takes a flexible point of view towards various pending free trade pacts. In her confirmation hearing on January 15h, Clinton addressed Latin America as a lesser concern than Australia and South East Asia in discussing her foreign policy priorities, and Latin America is one of the few regions without a special envoy in the State Department. During her own presidential campaign, the future Secretary of State berated Obama’s willingness to engage in dialogue with the Castro brothers “unconditionally,” and also has backed Alvaro Uribe’s Colombia in no uncertain terms in its various confrontations with Venezuela. The position of Commerce Secretary in Obama’s cabinet is on the verge of being filled by Senator Judd Gregg, after the January 4, 2009 withdrawal of Bill Richardson, who is under investigation by the FBI and a federal grand jury for alleged campaign finance irregularities. Richardson, despite being a staunch advocate of free trade, particularly NAFTA himself, would have brought to the administration a wealth of knowledge and experience on Latin American issues. As COHA noted in its original response to his appointment in December, “Richardson is in touch with … hemispheric trends and could be of inestimable value to the new administration, in presenting a new face to the region and a definitive end to the fallow relations that Washington has had towards the region” (‘Is Richardson’s appointment as Secretary of Commerce good news for NAFTA’s revitalization? It certainly is good news for the region’s self-esteem’, December 15 2008). Stripped of Richardson as one of his point men on trade issues, Obama’s cabinet remains devoid of anyone with a strong focus on Latin America. However, he does have in one of his advisors and White House Counsel someone who COHA has previously lauded as “The right man to revive deeply flawed U.S. – Latin American relations.” Greg Craig has espoused the adoption of a multilateral approach toward Latin America and has spoken out in his calling for respecting sovereign regional governments of varying political orientation, an approach which could prove to be highly promising. Barack Obama should not rush to follow a well worn path that his predecessors have lamentably taken by relegating Latin America to a peripheral concern. When seeking first tier U.S. foreign policy goals, second-rate punditry is not good enough. If Obama is to rebuild the shattered U.S. image which is currently being observed from Latin America, he must give the region a sense of priority in recognition of Washington’s longstanding legacy in the area. One consequence of the diminishing U.S. regional stature has been an encroaching foreign influence which has taken advantage of the vacuum created by Bush’s myopic foreign policy, particularly the distraction provided by Iraq. The effect of this outside influence has been compounded by an emphatic move towards a new conception of regionalism which increasingly excludes United States participation, examples of which include UNASUR, ALBA, the Rio Group, and the Ibero-American summit. Obama should fulfil his campaign promise to meet unconditionally with the region’s leaders regardless of their political orientation – specifically meaning Raul Castro, Hugo Chávez, and Evo Morales. Diplomatic relations between the U.S. and the disaffected South American states reached a low point last year with the reciprocal expulsion of ambassadors involving the U.S., Bolivia and Venezuela. Even though Chávez expressed the hope that Venezuela’s relations with the U.S. could improve under Obama, he has since tempered his enthusiasm following perceived dismissive remarks made by the new U.S. administration, and actions from Washington that were not aimed at winning friends. Obama cannot afford to neglect the cordial relationship he has already begun developing with Lula in Brazil. Eight years of ignorance and neglect in Washington has enabled Brazil to emerge as a benign regional semi-superpower. The country has assumed a central role in the various moves toward political and economic autonomy which South America has taken away from the Bush presidency. There is no avoiding the fact that if Washington is to make headway in Latin America today, it must have the blessing of Lula or his successor. Even though the announced closing of the Guantánamo detention facility and a proposed easing on the remittance and travel ban affecting Cuban Americans has been warmly welcomed, Obama must consider among his immediate priorities a truly significant reassessment of U.S. policy towards Cuba. This might also include another unilateral policy – the return of the base on Guantánamo to Cuba. It is an act of pure colonialism for Washington to continue to hold onto a facility it intentionally obtained through its power rather than through reason, and perpetuates the image of the U.S. as an ‘empire’ in parts of Latin America. The next step should be the lifting (unilaterally, if need be) of the almost five decade-old Cold War-era embargo. This puerile and ineffectual policy has been repeatedly rejected by Latin Americans and its abolition would go a long way towards repairing battered U.S. relations with the region. Revising the U.S. approach to its 30-year old failed war on drugs, which is now featuring a growing wave of transnational violence, should also be high on Obama’s agenda. Considering that the United States is the world’s largest and most lucrative market for the sale of these illicit substances, creating security pacts with neighbouring countries in order to clamp down on the supply, will continue to have little effect as long as domestic demand remains unimpaired. The makeup of Obama’s cabinet may point towards the adoption of a policy less bold than Latin America is calling for – even expecting – from the new administration. The implications of Hillary Clinton’s appointment as Secretary of State are hard to escape from; it is her position as Washington’s top diplomat which will dictate the administration’s approach to Latin America, for it is she who will be making most of the appointments of first and second tier personnel who will be exercising their jurisdiction over regional decision making. The loss of a respected Latin Americanist like Bill Richardson over a campaign-donation matter certainly is a grievous blow, and the composition of Obama’s cabinet suggests at first glance that the status quo could very well prevail. However, the signals that the Obama administration has sent during its few weeks in office have not been enough to evaluate either its innovative nature or its willingness to break with the past; it has not been seated long enough to establish whether it is prepared to embrace Latin America in all of its variegated forms. Since January 20, the administration has issued a series of remarks, both promising and troublesome. The statements made by Steinberg and Gates demonstrate that the old order’s dogma continues to permeate Washington, whereas the approach to date of Clinton, Wood and Shannon, as well as Obama himself, hints that a significant shift could be in the offing when it comes to hemispheric relations. Provided the more progressive wing of the administration prevails, there may still be hope for change in Washington’s stance on Latin America.